The stately interiors complete with neat seating arrangements and a number of counters displaying a buffet presentation of their major cuisines are some of the first things you will notice while walking into K3- the all day dining restaurant. Contemplating upon everything you need to try while you are here will be the second thing you do upon entering here. 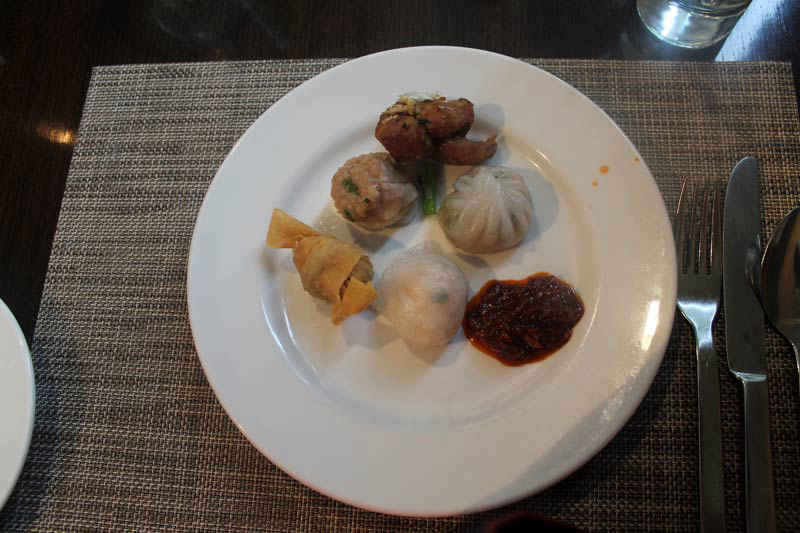 To commence, we picked out their supple dimsums made by their chef trained in Cantonese cuisine. We tried the vegetarian spinach and corn dimsums which although is a staple dish at every Chinese restaurant and often comes across as just another boring vegetarian dimsum- this one did come with its own flavours beyond spinach and corn. The Prawn Har Gao too was a delicately made dumpling with the prawn filling cooked just the right amount and packed in a crystal layer. The Chicken Siew Mai with juicy chicken filled in an open faced dimsum with a spicy and tangy chutney are probably every Indian’s favourite Chinese starter by now. Or shall we call it a gateway to heaven! The platter served Char Siew Pork, Honey Glazed Pork and Cantonese BBQ Duck. 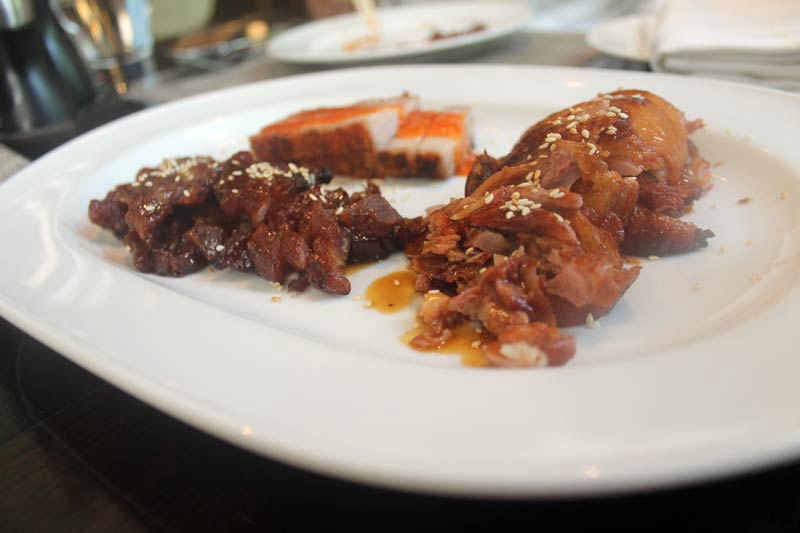 The Char Siew Pork was a succulent barbecued pork belly with soy sauce was an absolute treat. The pork belly was cooked well and the yellow bean sauce gave it a certain pungent flavour that one may love or hate. We surely loved it! It seemed we were in a pork phase, a the next delicacy of platter was the scrumptious Honey Glazed Pork. The crispy pork bits in honey and sesame gave it a sweet tinge and there was the crunchy crackling that everyone loves. And then the platter offered us the sumptuous Cantonese BBQ Duck. If you are tired of duck meat being hard and chewy, K3 will come to your rescue. Their Cantonese BBQ duck is tender, sweet, crispy at times and all sorts of amazing. A great starter to tuck into while you are waiting for your mains. There is no denying the magic a coconut milk broth has on our soul. 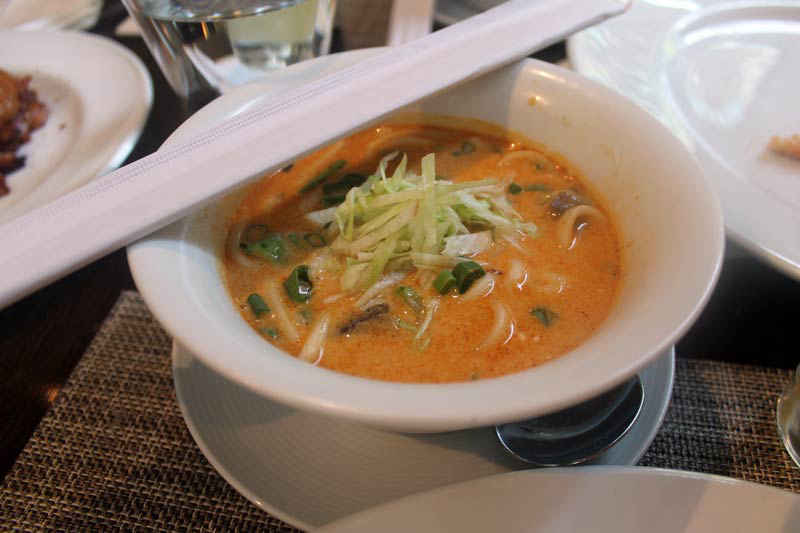 With seafood and udon noodles, the creamy and aromatic Laksa can turn any dull day around and if one goes under the weather, there is no better cure for that. 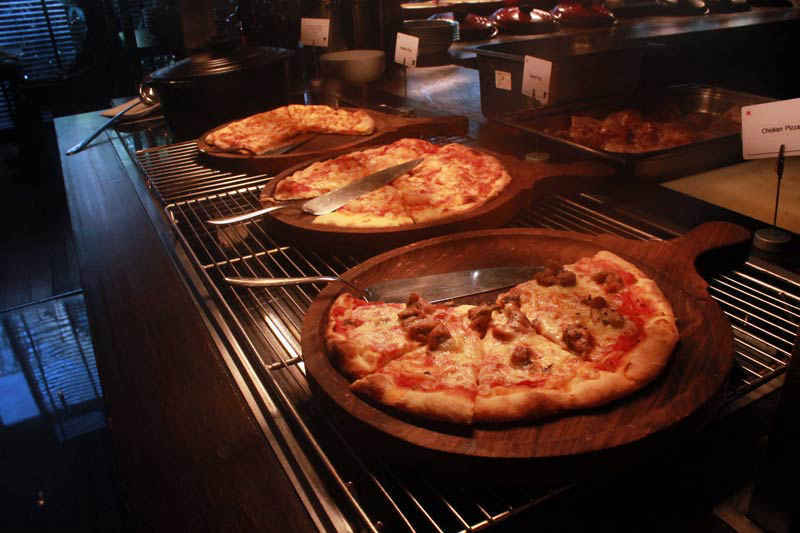 We have always been so adept at having vegetarian or chicken toppings on our pizzas that seafood often comes across as a strange concoction over a pizza. But shrimps on a pizza with cheese and tangy marinara is nothing short of brilliant that we savoured guiltlessly. We honestly all agreed that anything sealed in a puff pastry tastes superior to everything else but we never thought it could be turned into a dish of its own. Chef Vivek Bhatt spinned magic with his hands and laid out his signature dish before us and it was hard to not keep our hands off it. 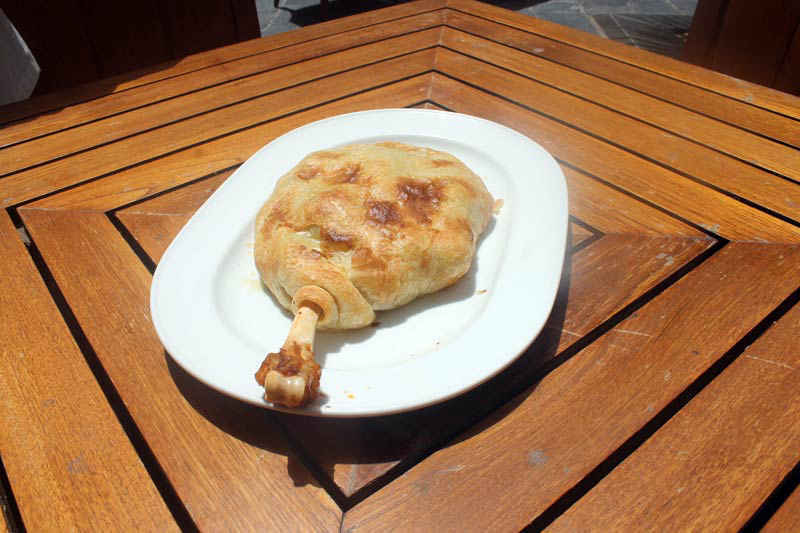 The lamb was cooked dum pukht style and with spices that tenderized it to the kind of perfection that it literally melted in our mouths and the buttery, flaky puff layer that packed all of the goodness of the lamb was an added pleasure to bite into. However since this dish takes time to be made, one must give a prior notification to the restaurant in order to enjoy this one! After a dish as good as the Pardah Lamb, we were not quite sure if anything we ate next would match upto it, certainly not a mostly unreliable risotto. However, the Italian chef was set to prove us wrong on this. 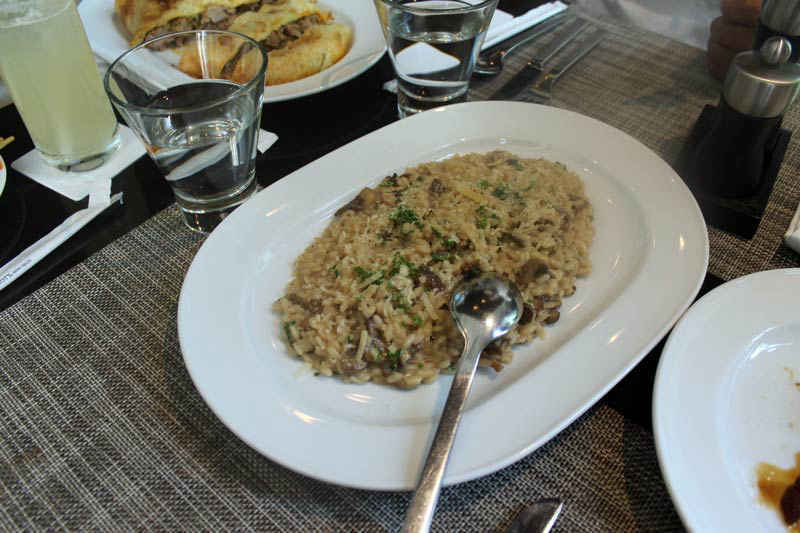 A creamy risotto with mushrooms albeit a far cry for our last dish- was unlike every other risotto we had tried. The Parmesan veloute used in the dish gave it a beautiful velvety texture and we kept shamelessly reaching out for seconds and thirds. Maybe even fourths. With all the superiority K3’s foods presented, it was only natural that their desserts too would charm their way upto our hearts. We started off with a rich Vanilla Creme Brulee that is always a hit with its subtle vanilla scent and lushness of the French dessert. 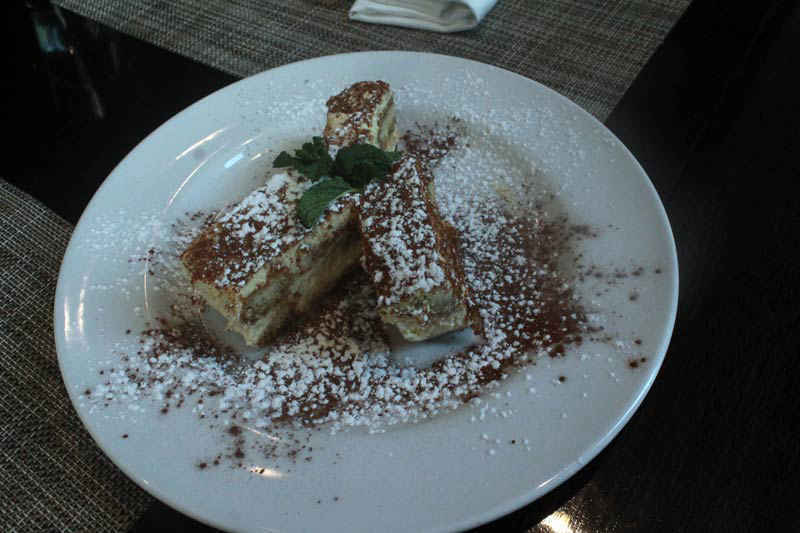 Next in line was their Tiramisu that the Italian Chef took special care in constructing and sending it out to our table and that’s when we knew there wouldn’t be anything to complain about. With just the right amount of booze and creamy mascarpone, lady fingers dunked in espresso- this dessert has always been a beloved one. K3 has specialized chefs for all their cuisines which are mainly North Indian and Dehlvi, Cantonese and Italian which makes each of their dishes as authentic as it can be. The fact that one can rush into this fine dining restaurant at midnight when the hungry pangs are uncontrollable and options seem scanty, gives them major brownie points in our hunger books!